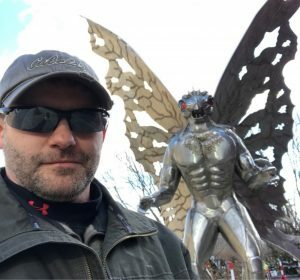 Denver Michaels is an author with a passion for cryptozoology, the paranormal, lost civilizations, and all things unexplained. At age 42, the Virginia native released his first book People are Seeing Something—a culmination of many years of research on the lake monster phenomenon. Since then, he has gone on to write Water Monsters South of the Border and this book, Wild & Wonderful (and Paranormal) West Virginia. Michaels is employed as an engineering technologist and works full-time. He is married with three children. In his spare time, Michaels enjoys the outdoors and traveling and he continues to perform research and writing for future works.